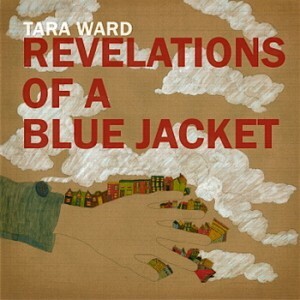 “Revelations of a Blue Jacket” is a concept album created by Tara Ward. The album chronicles the thoughts and emotions of a young woman named Cordelia after she finds what she believes to be a magical jacket in a thrift store. Cordelia begins to believe the jacket gives the ability to predict the future and ultimately points out to her the man she is destined to be with. As things unfold, she begins to question her premonitions and insights. Are they real or imagined? Could the jacket be good or could it be evil? Cordelia grows obsessive about seeking out the Jacket’s premontions and is eventually led down a path of joy, exhilaration, confusion and eventually disappointment. The man that the Jacket moved her to fixate on eventually moves on to settle down with another woman. After a year of clutching so closely to the leadings of her cloth-prophet – she gives it up and destroys it.